This entry was posted in Uncategorized and tagged 20mm, Italy, Mediterranean, pics, scenery, terrain, WW2. ← Necromunda Campaign- Game 1. Hello Dave. 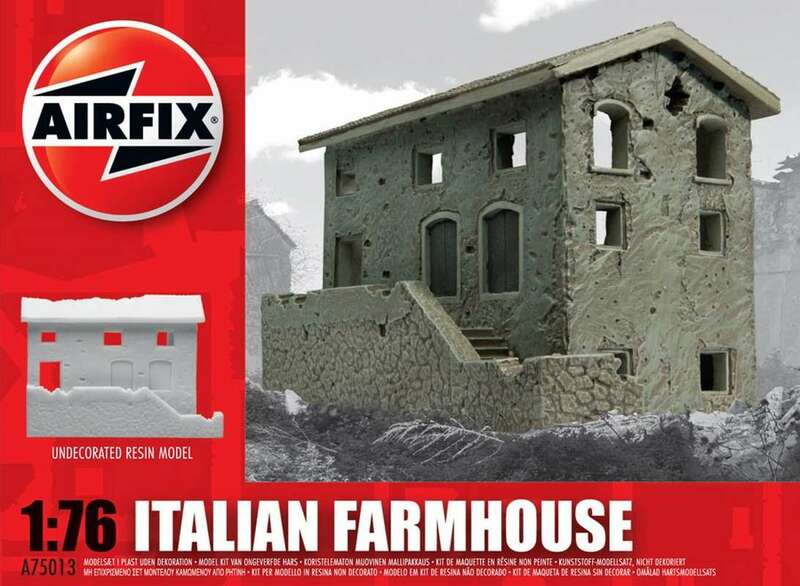 That for that the Airfix resin range has some good bits in which, with a bit of fettling, turn into nice bits of terrain. Well worth picking up if you see them cheap. Hi yes you have done a great piece there love the ex floor and the Rubble looks very real my friend. I’ll keep my eye out for it. I have one or two of these they paint up great. I would use that in my SCW 20mm it would go great. I’m like you I like to put exfloors in if they have the windows and room. Take care Pete keep up the Super post my friend enjoy reading them. SCW gaming is something I keep meaning to get around to doing… never vseem to have the time. Hi I understand I have lots of those too:) But if you ever decide to do it the nice thing about it is if you already have some early year German panzer 1s and some Russian T26s some trucks etc… and then just get a few 20mm Nationalist and Republican Troops you are good to go:) You already have Great terrain that works:) And your ready to play. When you put it like that Dave you make it seem like I’ve got 75% of the work done already… and I do like using my terrain for as many wars as possible. Will head over to the minairons site I think. Hey give a look at Hugh Thomas’s book on the SCW it was a good price and it’s well done:) hope the price is still good. Thanks for that Dave it is very generous of you. I’ll drop you an email tomorrow. Thanks for the book tips too- I think I’ll start with the Hugh Thomas one first. That looks really good! I have that model somewhere to paint so I’m pleased to see yours based so nicely with extra detail! Rubble looks good! Thanks- the rubble was a mix of cat littler, coarse grit, broken plaster and bits of match sticks. I keep a tub of it mixed up for this kind of job. Takes a bit of sticking down to make sure bits dont break off mind. Steal away- just remember to seal it with watered down PVA afterwards. So realistic Pete ! Great job ! Looks great. Liking the distressed whitewash. Thanks. The weathering is often my favourite part of paint kits and terrain. Great stuff Pete. The personal touch is what I like and what you have done is great mate. Very nice. Thanks TIM. Its always good to add a bit of yourself to these things. Very nice! I especially like how you painted the walls – the weathering looks perfect! Thanks- I used several thin layers of craft paint starting with a pale brown and getting lighter painted on with a stippling technique. Weathering was acrylic washes and a bit of drybrushing. Agree with all above, love the rubble and the weathering is well executed. Nice job Pete!